We’re big fans of iconic road trips, and when we think of California, we can’t help but picture ourselves cruising along Highway One, seeing the sunset in the wing-mirror, humming along to The Beach Boys. Sound like a dream luxury vacation? Then read on. Our North America travel experts have created this soulful, all-encompassing Californian trip that will have you exploring like a local and experiencing landscapes so stunning your jaw will drop. Setting off from San Francisco, you’ll sip wine in Napa Valley before experiencing the wilderness of Yosemite. Then, you’ll cruise south on the iconic Highway One towards Santa Barbara and Los Angeles for a final few days exploring the City of Angels. We’ll give you the inside scoop on the best roads to turn down for the best views, the must see pit-stops and hole you up in properties that will leave you wanting more. And if you feel like shifting it up a gear, then why not go true American style and throttle down the coast on a Harley Chopper. With the beautiful Zetta Hotel as your first resting place before the open road calls, drop your bags and enjoy one of our favorite US cities for a day or two. From the iconic Golden Gate Bridge to the lesser known stores and restaurants in the heart of the city, relax and take in the San Francisco sights. We’re on hand to help pick that perfect part of town for a bite or to share some of the hippest bars, galleries and secret viewpoints. For a city tour with a twist, we’ll arrange for you to explore the sights by electric bike. Starting at Fisherman’s Wharf you’ll head along the waterfront to Fort Point where you’ll then cross over the Golden Gate Bridge. A must when visiting San Francisco is getting lost in Chinatown, the oldest Chinatown in North America. Here our guides will show you the best places to taste Dim Sum, moon cakes and other eastern fare. A short hour and a half drive from San Francisco and you’re at the Calistoga Ranch, set in the heart of Napa Valley. Set in 157 acres surrounded by towering pine trees, you’ll instantly feel at peace. After settling in and refreshing, head off on the Kunde tour, where you can sample some of the valley’s finest wines and local cheese sitting on top of the hill watching the sunset. With a private tour guide, take a stroll through the vineyards and see how the wine goes from grape to bottle, before sitting back and embracing the northern California lifestyle. Head back to the Ranch to rest your head as you’ve got an early start in the morning. A few hours before sunrise, you’ll set off for a sunrise hot air balloon flight over Napa Valley. Watch as the rising sun glistens over the stunning pine laden valleys below, take a deep breath and you’re sure to never forget this remarkable view. Post-flight, you’ll be greeted with mimosas before heading to the Ranch’s spa. Next, set off on the four hour journey to your base for the next two nights, the Majestic Yosemite Hotel. Formerly known as the Ahwahnee, this rustic but elegant lodge offers sweeping views and is in a perfect location for exploring this extraordinary National Park. Yosemite is the crown jewel when it comes to spectacular scenery, rich history and captivating terrain for as far as the eye can see. Located in the High Sierras, Yosemite is nature in all its shining glory. From the towering granite carved out by glaciers, to the ethereal and therapeutic silence, soak up your surroundings as you spend the next few days hiking by day and stargazing by night. Winding down the coast you’ll have the Pacific Ocean crashing on the rocks to your right and stunning landscapes stretching afar on the left. After a four hour scenic coastal drive, you’ll arrive at the Post Ranch Inn, a Black Tomato favorite. For the next few nights you’ll be staying overlooking the ocean – a perfect spot for a relaxing few days to explore the stunning surroundings. Head southbound on one of the most famous roads in the world, the Pacific Coast Highway. It takes you across some of North America’s most amazing cliffs, rivers and bridges, so make sure your car roof is down to experience them in all their glory. It’s a mind-blowing five hours’ drive to the San Ysidro Ranch, a picturesque hotel that sits in the Montecito foothills of Santa Barbara. You’ll spend the next few days exploring the vineyards and charming surrounding villages before you embark on the last leg of your road trip. Hit the road, and in under a two hour drive you’ll be at the iconic Shutters on the Beach, directly on the sands of the Santa Monica Coast. 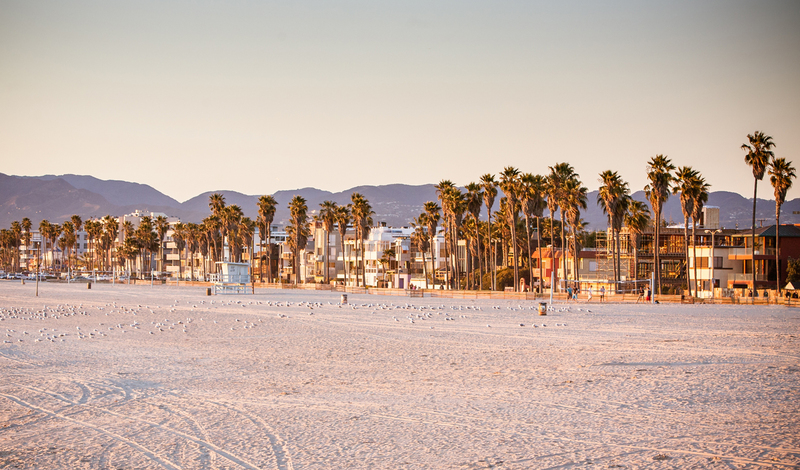 For the last four nights of your trip, it’s the perfect stop to combine casual beachside living with the glamor of LA. Start with a half day tour through Hollywood and Beverly Hills in comfort and style. Walk the avenue of stars, see the famous Hollywood sign and Rodeo Drive and then head back to the iconic beaches where you can spend the rest of the day soaking up the sun or sipping on a cocktail looking out over the Santa Monica pier. 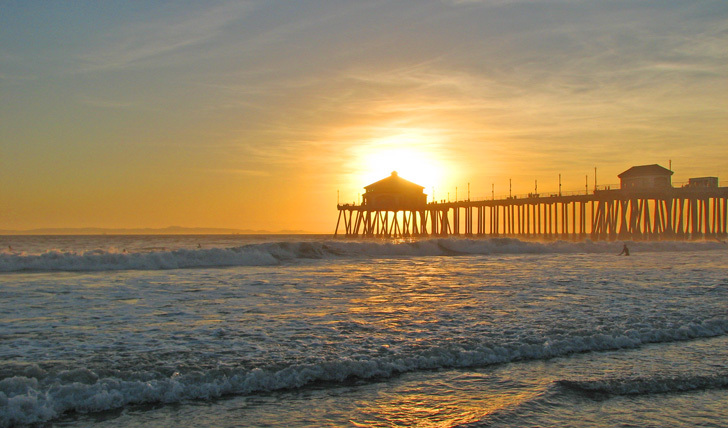 Spend the last two days embracing the California lifestyle – a heady mix of storeping, surfing and sunshine. Return the keys here, but it’s never too soon to start planning another journey.